The most significant private property classified as a historical monument today. The genius of three renowned artists serving one man, Nicolas Fouquet – architect Louis Le Vau, painter Charles Le Brun, and landscape architect André Le Nôtre. Splendor, glory and downfall: a tragic fate. The destruction of one man by Louis XIV, the role of D’Artagnan and his musketeers. The art of the garden during the reign of Louis XIV (the grand siècle), the first French formal garden – order, precision, and nobility. 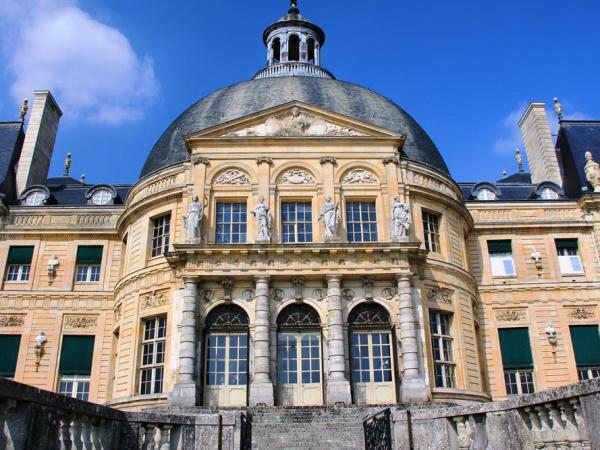 The history of this Baroque castle situated 55 km southeast of Paris is a bitter reminder of what happens when you soar too close to the sun…king. Originally owned by Nicholas Fouquet (superintendent of finances under Louis XIV), the chateau was transformed from small estate to grand château under his patronage. The result was so resplendent that the king had Fouquet arrested and seized the castle as his own. 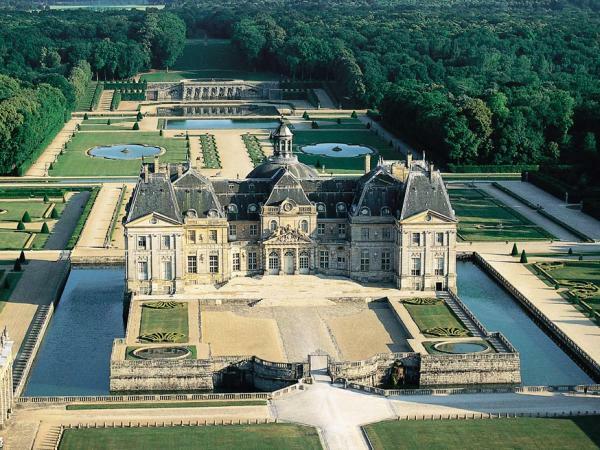 He then commissioned its architects to build a bigger, better version for himself in Versailles. 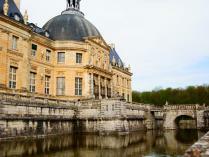 Relive the splendors and pageantry of the 18th century at Vaux le Vicomte castle. 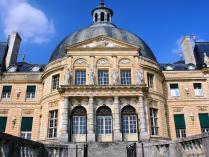 Discover with your guide this magical place…the Italian oval salon and the state apartments. Plunge into a historical medley – from La Fontaine, great French poet and friend of Fouquet, to Molière, to Mesdames de Sévigné and de Scudéry.